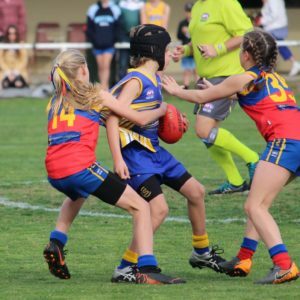 Footballers, cricketers and the community as a whole are set to benefit as Merimbula’s Berrambool Oval receives $193,000 towards a significant lighting upgrade for the football oval and car park. 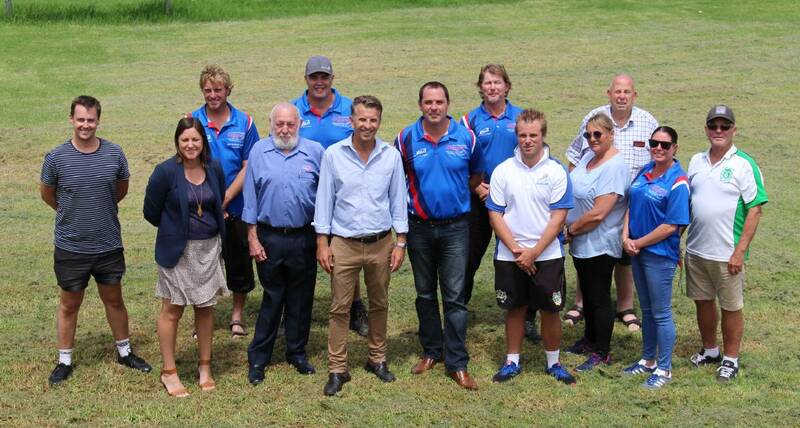 On Friday, February 2, Member for Bega Andrew Constance made the official announcement with the Merimbula Diggers Football Club. Joining Mr Constance in the announcement were Mayor Kristy McBain and Deputy Mayor Mitch Nadin. 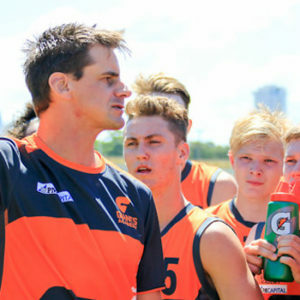 President of the Diggers Jason Raeck said when he received news of the funding go-ahead he was a bit in shock. “It’s nice to be recognised, this has been something we have been pushing for for a long time. “We are only a little dot on the map and it’s going to make a big difference to not only the football club and the sporting clubs but to the community as a whole. It opens the oval up for night time events including a youth girls competition. The club is also contributing funds towards the lights as well as receiving an undisclosed amount from the AFL. 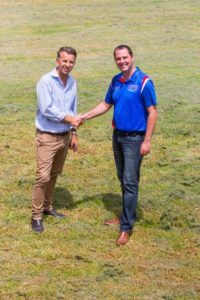 “The Diggers Football Club would like to thank everybody who has put in the effort over the years including the AFL, Bega Valley Shire Council and Andrew Constance and his team,” Mr Raeck said. Far South Coast Cricket Association official Charles Aggenbach said cricket clubs will also benefit and are looking forward to playing day-night games. 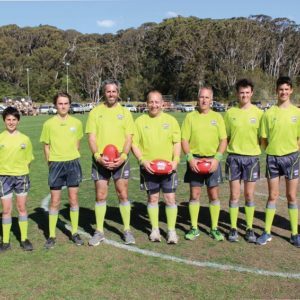 The money has been sourced through the Bega Valley category three ClubGRANTS program. The scheme is managed by Bega Valley Shire Council, but it is a shared state government and club industry program, funded by a gaming machine tax on registered clubs with gaming machine profits in excess of $1 million. Mr Constance thanked the clubs for their advocacy and financial support. “Instead of money going straight to treasury in Sydney, the clubs put money straight back into community infrastructure,” Mr Constance said.